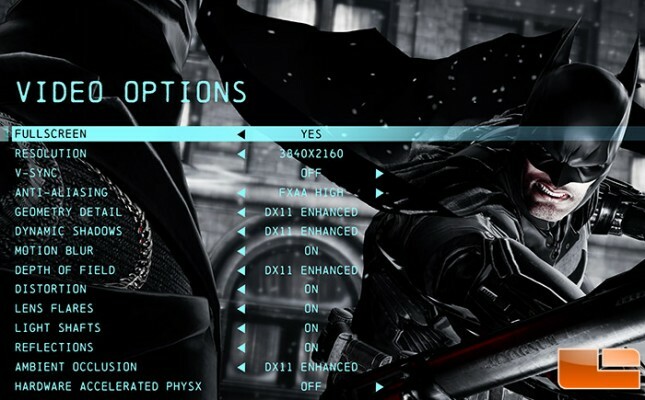 Batman: Arkham Origins is an action-adventure video game developed by Warner Bros. Games Montréal. 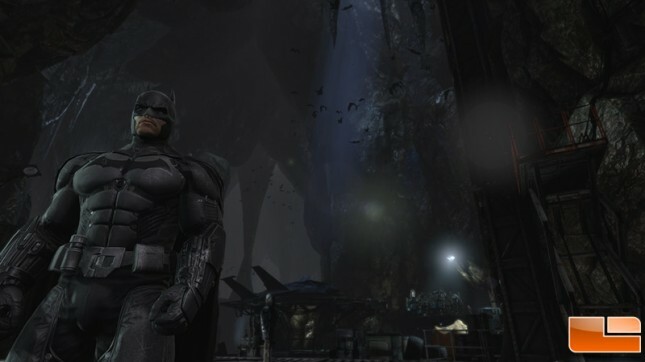 Based on the DC Comics superhero Batman, it follows the 2011 video game Batman: Arkham City and is the third main installment in the Batman: Arkham series. It was released worldwide on October 25, 2013. For testing we used DirectX11 Enhanced, FXAA High Anti-Aliasing and with all the bells and whistles turned on. It should be noted that V-Sync was turned off and that NVIDIA’s PhysX software engine was also disabled to ensure both the AMD and NVIDIA graphics cards were rendering the same objects. We manually ran FRAPS on the single player game instead of using the built-in benchmark to be as real world as we possibly could. We ran FRAPS in the Bat Cave, which was one of the only locations that we could easily run FRAPS for a couple minutes and get it somewhat repeatable. 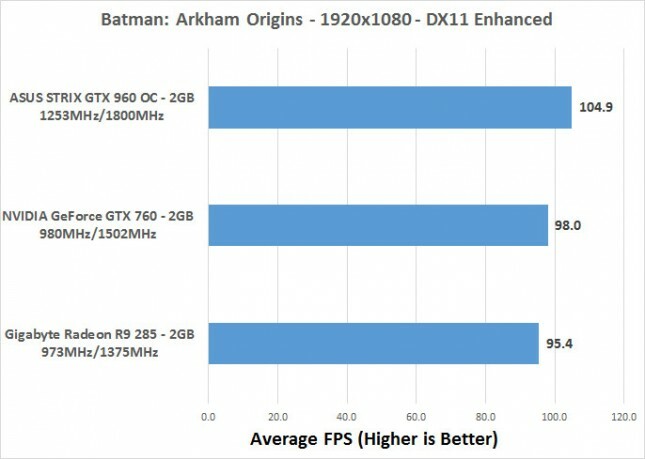 The CPU usage for Batman: Arkham Origins was surprising low with just 10% of the Intel Core i7-4960X being used by this particular game title. 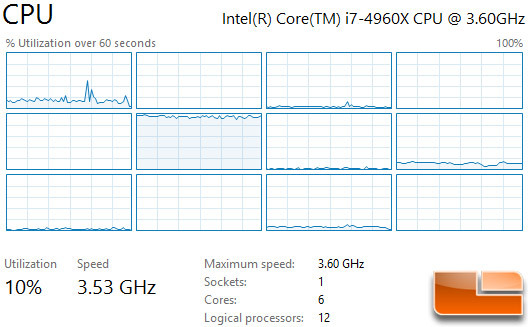 You can see that the bulk of the work is being done by one CPU core. Benchmark Results: We started over our benchmark charts for the GeForce GTX 960 and will be focusing on the GeForce GTX 960, GeForce GTX 760 and Radeon R9 285 video cards in this review. These cards all have 2GB of GDDR5 memory and are priced in the $199-$235 price range. The ASUS STRIX GTX 960 2GB video card didn’t blow the GTX 760 reference card away, but was found to be 7% faster. The AMD Radeon R9 285 put up a solid score, but the STRIX GTX 960 was 10% quicker on average.